Lucy Ricardo always tried to get in on Ricky’s act, despite her less than pleasant singing voice on the show I Love Lucy. Lucy would sing in a shouting, off-key manner. And when I was a little girl, my grandmother would tell me that Lucille Ball really could sing and star in musicals in the 1940s. Fast-forward to years later when I watched Du Barry was a Lady (1944), and the film begins with Lucille Ball singing. I looked up the film and saw that Ball wasn’t singing at all and was dubbed by Martha Mears. I had been living a lie all of those years! Today in musicals, Hollywood wouldn’t dream of dubbing the singing voice of a star. Can you imagine the backlash on social media when audiences found that out? But from early movie musicals of the 1930s (Joan Blondell in Gold Diggers of 1933) to films released in the 1980s (Margaret Avery in The Color Purple), dubbing singing voices was common practice. By definition, “dubbing” is when a film studio replaced the singing voice of an actor with another person’s singing voice. This was either because the actor could not sing, but they needed their star power or dancing prowess for the musical. For example, stars considered to be musical stars like Cyd Charisse, Rita Hayworth, Vera-Ellen or Virginia Mayo couldn’t sing, but they all fit the bill in the dancing department. Other times, a star may only be partially dubbed or dubbed in individual songs or films. Joan Leslie was dubbed in several movies by Sally Sweetland but did her own singing in others. Rita Moreno is known as a singer but was dubbed in the song “A Boy Like That” by Betty Wand in West Side Story (1961), because it was out of her vocal range. Many audience members never realized that their favorite stars like Rita Hayworth didn’t sing (case in point, my grandmother), even though the speaking voices and singing voices often didn’t match. 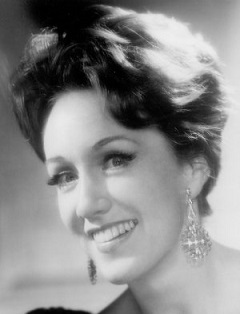 When dubbing singing vocals, Marni Nixon is often noted. With approximately 20 film credits to her name, Nixon dubbed stars in many big-budget end-of-the-musical-era films, such as Deborah Kerr in The King and I (1956), Natalie Wood in West Side Story (1961) and Audrey Hepburn in My Fair Lady (1964). Nixon’s 2016 New York Times obituary called her, “American cinema’s most unsung singer,” which I admit I take issue with. On the contrary, Nixon has been celebrated in recent years because she fought for recognition and is the most well-known dubber. The unsung singers are the vocal dubbers that came before Nixon in the 1930s and 1960s, singing the notes that came out of the mouths of stars and often didn’t get credit. Martha Mears’ Film Dub career consisted of singing for popular Hollywood stars like: Claudette Colbert, Hedy Lamarr, Lucille Ball, Rita Hayworth, Veronica Lake and Marjorie Reynolds. Martha Mears: 38 film credits — The vocal dubber who dubbed more actresses and films than anyone else was a singer, Martha Mears. From 1938 to 1951, Mears provided the singing voice to any actress of the golden era you can think of: Claudette Colbert, Hedy Lamarr, Lucille Ball, Rita Hayworth, Veronica Lake, Loretta Young, Marjorie Reynolds, Audrey Totter, and Maria Montez. Mears was unique compared to most dubbers, as she was able to change her voice to match different characters and actresses. Mears sang “White Christmas” for Marjorie Reynolds in Holiday Inn (1942) which topped the Hit Parade and won an Academy Award. 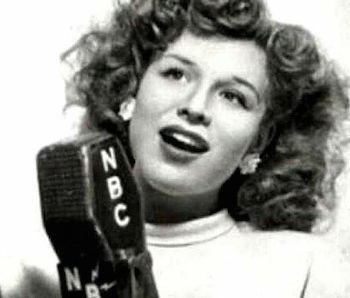 Outside of films, Mears was a popular radio singer and signed a contract with NBC in 1934, singing on several radio programs and also on Armed Forces Radio during World War II. Servicemen voted Mears, along with Ginny Simms, as their favorite girl singers during the war. Mears’ last film credit was Half Angel (1951) for Loretta Young. Mears died in 1986. Marni Nixon: 20 film credits — Marni Nixon is most notable for the large budget films, mentioned above. She acted and sang in films as early as 1942 at age 12, with a role in the movie The Bashful Bachelor (1942). Nixon was a trained singer, and at age 17, she was the vocal soloist with the Los Angeles Philharmonic under Leopold Stokowski. To make money for her own lessons, she taught singing lessons to actresses at MGM, and her first dub job was Margaret O’Brien in The Secret Garden (1949). She dubbed actresses like Deborah Kerr, Natalie Wood, and Marilyn Monroe through 1964. She finally sang on screen as a nun in Sound of Music (1965). Like most film dubbers of this era, Nixon was uncredited for her roles, so TIME magazine called her “The Ghostess with the Mostest.” Nixon also performed in musicals on stage and performed until a few years before her death, according to her obituary. 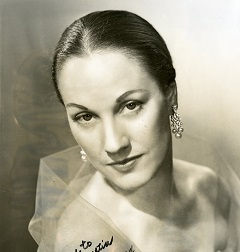 She also taught at the California Institute of the Arts in Valencia, where she founded the vocal department. Nixon died in 2016. Bonnie Lou Williams, with over 17 folm credits, dubbed both Virginia Mayo and June Haver in multiple films. Bonnie Lou Williams: 17 film credits — Bonnie Lou Williams dubbed Virginia Mayo more than any other singer, including during her early-1950s Warner Brothers musicals like She’s Working Her Way Through College (1952) and She’s Back on Broadway (1953). Before dubbing, she was Tommy Dorsey’s singer from 1944 to 1945 and performed with Bing Crosby in 1946. Williams also performed for June Haver in several films, including Look for the Silver Lining (1949). 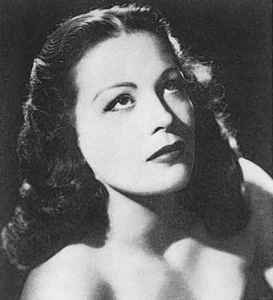 After retiring from films, Williams worked at a company that programmed airline music, and she died in 1986. Betty Wand’s Film Dub credits include: Adventures in Baltimore, West Side Story, Easy to Love and Pagan Love Story. 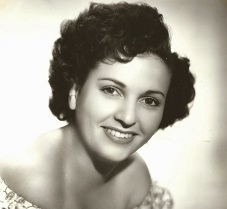 Betty Wand: 15 film credits — Betty Wand’s career started with singing with bands in the 1940s, including Xavier Cugat. Wand’s first dubbing job was for teen Shirley Temple in Adventure in Baltimore (1949) and her last film was for Rita Moreno in West Side Story. Wand also dubbed Esther Williams (Easy to Love (1953), Pagan Love Song (1950)), Leslie Caron (Gigi (1958)), Sophia Loren (Heller in Pink Tights (1960)), Shelley Winters (Poseidon Adventure (1972)), and Kay Kendall (Les Girls (1957)). In the 1990s, Wand wrote a book on how to stay young. Film Dubber Bill Lee is credited with lending his voice to movies such as Sound of Music, South Pacific, Peter Pan, 101 Dalmatians and The Jungle Book. Bill Lee: 13 film credits — Bill Lee sang for some of Hollywood’s actors including Christopher Plummer in Sound of Music (1965) and John Kerr in South Pacific (1958). He also had a career with Walt Disney Studios. He began as a baritone with Disney’s Mellomen, a singing quartet and also sang in some Disney films, like Peter Pan (1953), 101 Dalmatians (1961) and The Jungle Book (1967). Lee died in 1980. 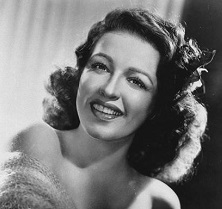 Film Dubber Jo Ann Greer’s voice was so similar to Rita Hayworth that she was used in several of Hayworth’s singing scenes. Sally Sweetland’s soprano voice can he heard in almost a dozen films inlcluding Yankee Doodle Dandy and Rhapsody in Blue. 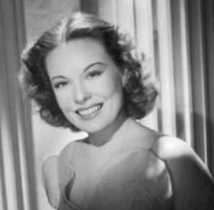 Sally Sweetland: 10 film credits — Sally Sweetland is best known for dubbing Joan Leslie, such as in Yankee Doodle Dandy (1942). Leslie sometimes also did her own singing. Sweetland also sang for Joan Fontaine, Martha Vickers, and Brenda Marshall. 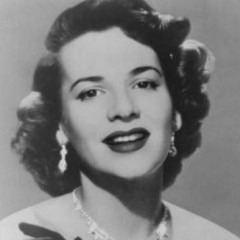 Outside of films, she performed on “The Perry Como Show” and “The Ed Sullivan Show,” and had a song chart in the top 100 when she performed “I’m Walking Behind You” with Eddie Fisher. Sweetland died in 2015 at age 103. Before starting her career as a film dubber, Trudy Erwin regularly performed on Bing Crosby’s Kraft Music Hall. Trudy Erwin: 10 film credits —Trudy Erwin performed with various bands before starting in Hollywood. She sang with the Music Maids on Bing Crosby’s Kraft Music Hall, and then with Kay Kyser’s band. As one of Kyser’s band member, she appeared in the films My Favorite Spy (1951) and Hollywood Canteen (1944). Erwin dubbed Lana Turner and Lucille Bremer twice. She also dubbed Linda Darnell, Lucille Ball, Ruth Roman and Betty Field. Erwin died in 2000. 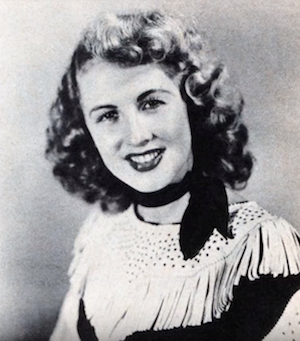 Louanne Hogan: 9 film credits — Louanne Hogan performed as a singer with various big bands including Tommy Dorsey and Harry James, and she sang with the Pied Pipers. In Hollywood, Hogan is best known for dubbing Jeanne Crain in State Fair (1962), Apartment for Peggy (1948), Centennial Summer (1946) and Margie (1940). Hogan retired from singing in 1958 after dubbing Sophia Loren’s humming in Desire Under the Elms (1958). Hogan died in 2006. Film dubber Anita Ellis’ credits include The Loves of Carmen, The Lady From Shanghai and Down to Earth. Anita Ellis: 8 film credits — Ellis is the fourth singer who regularly dubbed Rita Hayworth (Mears, Greer, Nan Wynn) and is the performer who sang “Put the Blame on Mame” in Gilda (1946). Ellis also sang for Hayworth in The Loves of Carmen (1948), The Lady from Shanghai (1948), and Down to Earth (1947). Others Ellis dubbed included, Vera-Ellen and Marie Windsor. Before film dubbing, Ellis was a singer on the radio for WLW Cincinnati and appeared on radio shows, like “The New Jack Carson Show.” In the late-1950s, Ellis signed with Epic Records and released jazz records. She retired in 1987 and still lives in Manhattan. 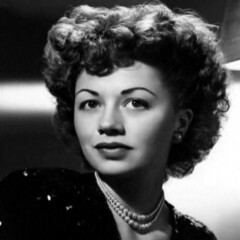 Carol Richards: 6 film credits — Singer Carol Richards signed with Decca Records in 1949 and recorded songs with Bing Crosby, such as “Silver Bells” and “Sunshine Cake.” Richards most notably dubbed Cyd Charisse in films, including Brigadoon (1954), Silk Stockings (1957) and It’s Always Fair Weather (1955). She also dubbed Vera-Ellen in Call Me Madam (1953). Richards had a lawsuit with Decca after recording a song for “The Robe,” because she only authorized the use of the song in the film and not for sale on a record. Carol Richards was seen on TV on the episode of I Love Lucy, called “The Indian Show,” where Richards sings in Ricky’s Indian show at the club, and Lucy tricks her way into taking her place. 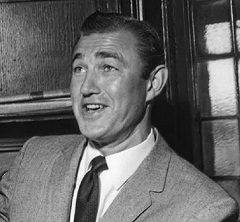 Richards retired in 1966 and passed away in 2007. Trudy Stevens: 4 film credits —Trudy Stevens didn’t dub for many films, but notably she dubbed Vera-Ellen in White Christmas (1954) and Kim Novak in Pal Joey (1957). Stevens also dubbed Lizabeth Scott twice. This isn’t a complete list of the film dubbers, but a highlight of some of the most notable. The film credit numbers are thanks to this massive research on this film dubbing website. This is the most comprehensive dubbing list, as IMDB does not credit all of the film credits for dubbers. This entry was posted in Musical Interlude, Posts by Jessica Pickens and tagged anita ellis, betty wand, billy lee, bonnie lou williams, carol richards, film dub, jo ann greer, louanne hogan, marni nixon, martha mears, music, sally sweetland, trudy erwin, trudy stevens. Bookmark the permalink. Actually, Rita Hayworth did her own singing when she sang “Put The Blame On Mame” while sitting on the piano playing the guitar in the film “Gilda”. Anita Ellis dubbed Mame for her when Hayworth did the main number in that iconic black satin dress. Ellis was also the sister of Larry Kert who originated the role of Tony on Broadway in “West Side Story”. I saw a film with Jack Haley singing! I can’t remember the name, it was so long ago, but I could swear. It was Buddy Clark’s voice. Would you know? It’s bugged me for years! Yes, it was Buddy Clark’s voice. The film was “Wake Up and Live”. Thank you!!! I was just a kid, couldn’t mistake that voice! Enjoyed getting to know so many of these vocalists who have been only names in the past. Thanks Jessica! It’s high time somebody produced a comprehensive list of these ladies and their accomplishments. Great job! This is great for you to have compiled all this information but isn’t that Carole Landis pictured for Martha Mears? Oops. Sorry about that… my mistake, not Jessica’s 🙂 but fixed now… thanks for pointing that out! Great partial list and long overdue! Wow! This was fascinating. I had just recently learned what Foley Artists do, so this really expanded my sense of behind-the-scenes manipulation of reality. The biggest surprise for our family (who have seen WHITE CHRISTMAS a gazillion times) was the realization that Vera Ellen wasn’t actually singing “Sisters”. They couldn’t possibly have been dubbing Rosemary Clooney too? Thank you Jessica for all the tremendous Commentary and research. One new to me was that Leslie Caron did not do her own singing in Gigi. I knew that the singing was recorded in the studio but I thought that it was her own voice. Terrific list. Thank you again. I wonder if these voice dub ladies received any royalties for their work which we still hear regularly in films on tv? There should be a documentary about these great people; the voices behind the stars. It’s about time that they get the credit that they deserve.